Jesse is a huge smoothie fan and I'm quite partial to them myself. In theory, smoothies seem like the perfect snack or breakfast - but when you look at the smoothies in food courts or some restaurants and cafes you may be surprised by what goes into them. Sugary frozen yogurt, sweetened fruit juices, ice cream, honey or sugar syrup, cream, full fat milk or yogurt and other ingredients that just don't need to be there. That said, there are definitely some places that do smoothies right - so do a little bit of investigating yourself. 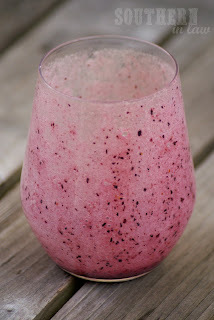 I like to keep smoothies really simple. They need to be fresh, healthy, satisfying - and most importantly delicious! Usually we don't have smoothies for breakfast by themselves so we don't worry about adding protein powders or other "bulking" ingredients - and instead pair them with a healthy muffin with a dollop of nut butter or a breakfast bake. 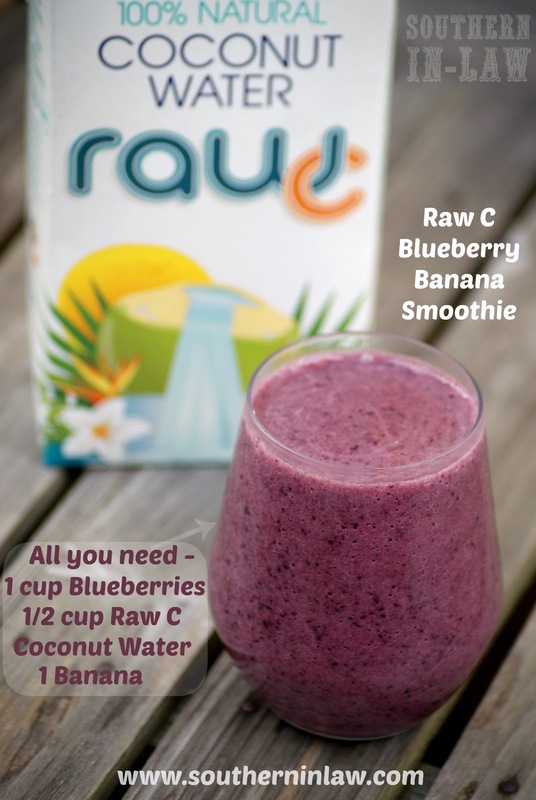 Here is one of our favourite smoothie recipes - and it has just THREE ingredients. Throw all of your ingredients into the blender and blend until there's no chunks and everything is incorporated. How simple is that?! You can add in pretty much anything you like - we often add in some chia or flaxseeds for a nutritional boost - or a dash of cinnamon. Blueberries are full of cancer and disease fighting antioxidants, promotes heart health and lowers cholesterol, can help with Alzheimer's prevention, anti-ageing, great for circulatory health, great for the prevention and control of diabetes, anti inflammatory, great for digestive health and so much more! Coconut Water is incredibly refreshing and hydrating as it is a natural electrolyte supplement, slows down the ageing process, regulates blood pressure, stabilises blood sugar, reduces cholesterol, relieves fatigue and it is also great for urinary and digestive health. Bananas are mood boosting, a great source of energy, help to stabilise blood sugar levels, protect against muscle cramps, counteract calcium loss, help to build strong bones, reduce PMS symptoms, reduce swelling, help with the production of white blood cells, high in vitamin b6, relieve anemia, high in potassium, great for lowering blood pressure and preventing against heart attack and stroke, aid in digestion, help to release toxins from the body, act as a prebiotic and produce digestive enzymes, high in fibre, are a natural antacid, prevent kidney cancers, make you more alert, high in antioxidants and much much more. Phew. Those are some long lists - but check out the benefits of the humble banana. Often times we go after super foods for their health benefits, not realising that the ordinary foods we have in our pantries or fridges or fruit bowls may have even more of those benefits. You're most welcome, Sabrina! 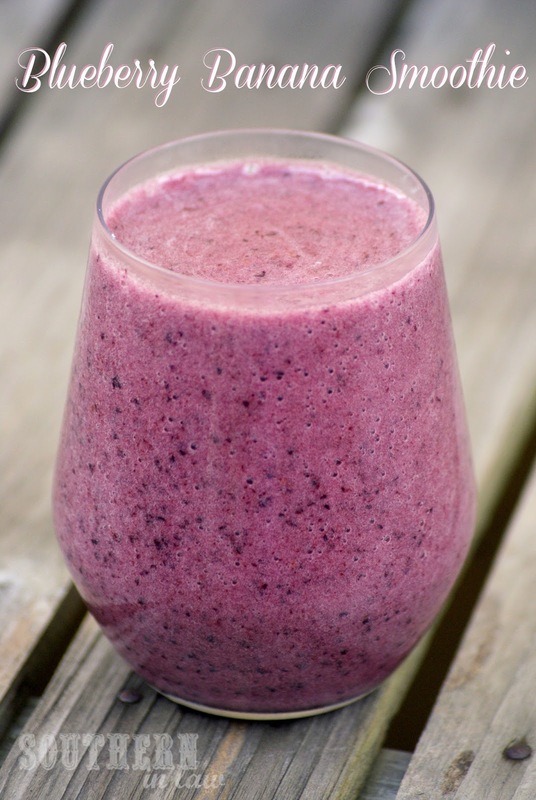 Your smoothie combo sounds amazing!